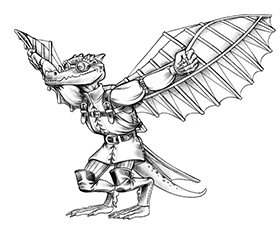 When tragedy befell the village of Kiter, deep within the rolling grasslands of the Magdar Kingdom, few noticed. A self-sustaining commune of deserters and outcasts, Kiter was far from a priority for anyone. The disappearance of the village children, then, went without attention by the larger world, and when the children returned, almost identical but slightly off, no news or concern spread to the cities. The PCs now find themselves traveling though the Crossroads, not far from the point where the trade roads between Runkelstad, Sveretsla, and Revskaya meet. The day is hot, as are most in the plains, and the monotonous waves of grass almost hypnotic. As such, the copse of trees is easy to miss and dismiss as it breaks the line of the horizon. Stranger still are the moving forms you see around it; they look like human children, all of them less than three feet tall! The children do not speak but begin to walk purposefully in the direction the 30-foot-diameter stand of trees, which forms a ring around a clearing. If attacked, the children do not retaliate; they simply look sadly at whomever assaulted them. The target of such a look must succeed on a DC 13 Wisdom saving throw or immediately cease all hostilities against the child. A creature who succeeds on this saving throw is immune to the effect of that child’s gaze from that point forward. The center of the clearing is a pool of quicksand; the children seem to walk right over it, but PCs may fall in. The children proceed through the other side of the copse. 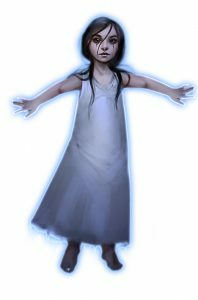 Development: If the PCs kill any of the children, they face the wrath of the villagers in Encounter 2. If they kill all of the children, proceed to Encounter 3. The children are following an extremely subtle path, which can be located by characters who succeed on a DC 25 Wisdom (Perception) or DC 20 Intelligence (Investigation) check. The path leads about a mile away to a small uncharted village, tucked into a depression among the hills and invisible from the trade roads. The village residents all seem to be despondent and are all elderly. If asked, they refer to the children as their own, but this statement seems to only make them sadder. If any of the PCs try to harm any of the children, the villagers rise up and attack (individually commoners, as a group they’re a mob). One of the villagers describes how all of the village’s children grew sick and died mysteriously years ago, but a kindly physician who lives nearby offered to restore them all. So what if they are listless and withdrawn after such a traumatic sickness? The children were returned and restored. In truth, the “children” are constructs—use the statistics of a homunculus—but act similarly to cursed magic items. The villagers cannot get rid of them and in fact see the constructs as being their own lost progeny. Breaking the enchantment, should a character devise a way to do so, earns the anger of the villagers who blame the PCs for the loss of their children. Development: News of even a single “child” injured or killed by a PC enrages everyone in the village if they learn of it. PCs who ask about the physician are directed to a cave some five miles away, which is the home of Granny Evô. Proceed to Encounter 3. Evô has used her creations to collect the villagers’ misery in a crystal vessel shaped like an egg, which grows as more sadness is added to it. Currently the egg is about three feet long. If defeated, Evô “confesses” to her crimes and states that the villagers will be happy again if the egg is broken. 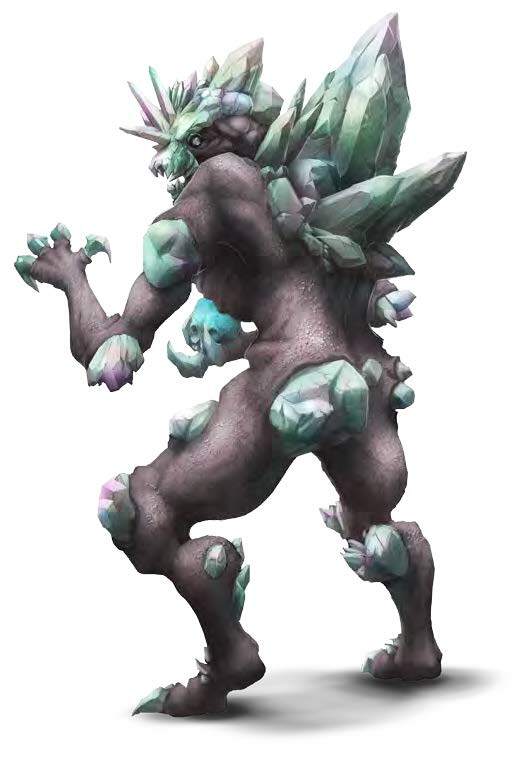 If the players break the vessel, however, it is revealed as a crystalline devil. 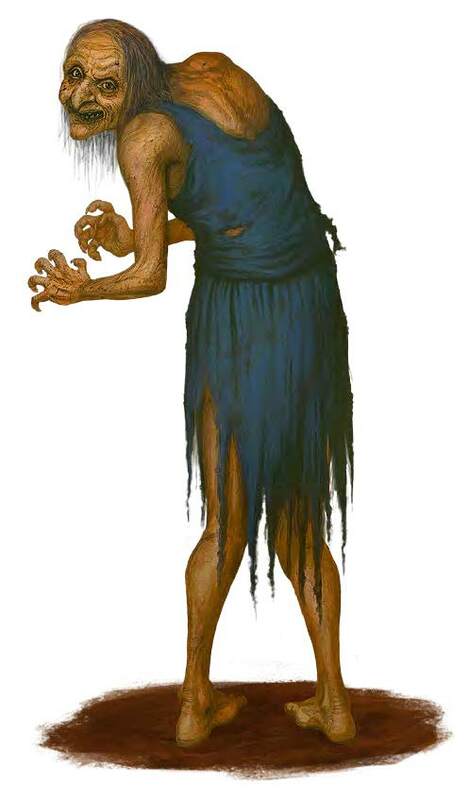 The hag tries to teleport away at any point when the party’s attention is elsewhere, and unleashing the devil is a perfect opportunity. Development: Casting remove curse onto a construct breaks its enchantment and destroys it. This procedure also clears the parents’ minds and allows them to see the truth of their situation. The children’s bodies are destroyed, however, and no magic short of true resurrection or wish can return them to life.